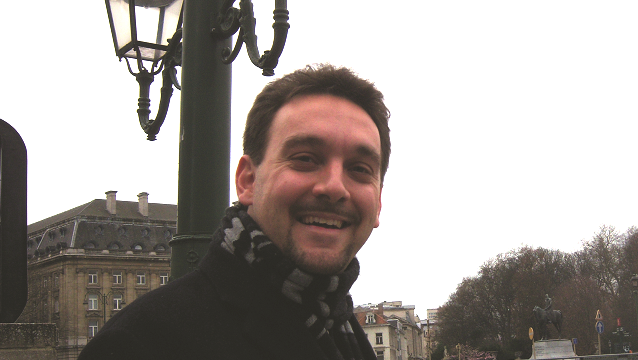 Matteo Cais MCIL is a freelance interpreter, accredited to work for the European Union. Here he discusses what he enjoys about being a professional linguist; for his native Italian version see The Linguist 55,4. "Languages first found a place in my life for fun: as a child I wanted to play videogames and understand what was going on, so my first words in English were 'lives left', 'game over', 'retry' and the like. Unlike many linguists, I was not born of parents of different nationalities, nor did I grow up in more than one country. But languages vehemently stole my heart: a smattering of English via videogames first, followed by French at school, English and some Latin through afternoon lessons, all of those languages plus German at high school, and Spanish on top of those at the Advanced School of Modern Languages for Interpreters and Translators in Trieste. It was just a short step from passion to profession. I have been a freelance linguist for more than 10 years now, starting as a translator of science books (five were published) and developing into an in-house proofreader for a translation agency for two years and a freelancer specialising in the IT, insurance and banking sectors since 2006. The cherry on the cake was accreditation as an EU interpreter in 2011, which has allowed me to travel around Europe and Italy, and to get to know the details of how EU policies are implemented in the member states. I enjoy every aspect of my work, from being my own boss to the freedom to define my working hours (usually), although it does take a lot of discipline to manage your time when the office is next to the room your son plays in. I also find it hard to leave my family when I have to travel for interpreting work. But would I go through my life with languages again? You bet: I would 'insert coin' time and time again."